This is a great quilt designed by Sandi Irish from The Irish Chain. 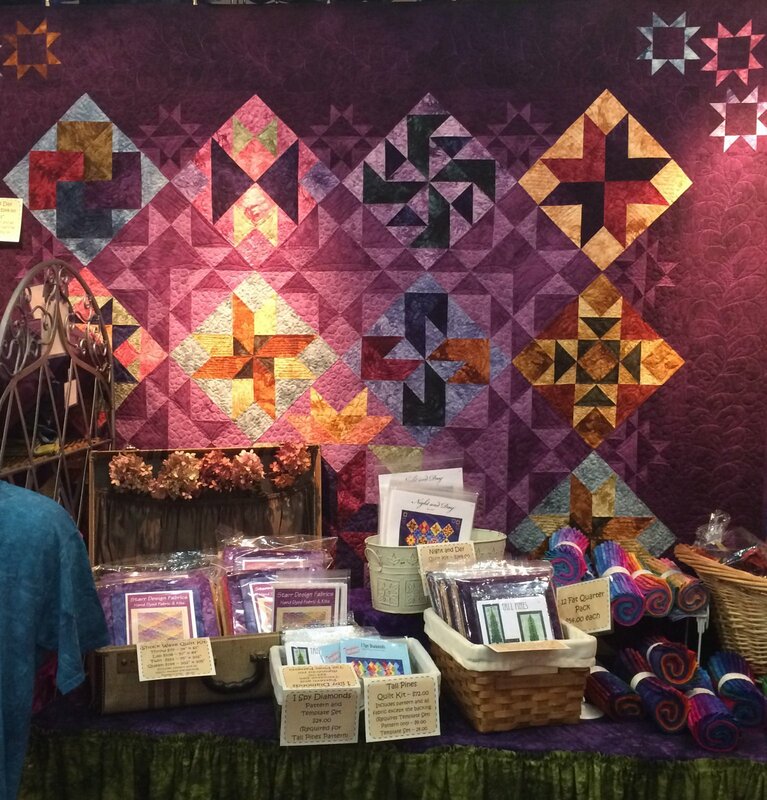 The Night and Day pattern was used for the 2015 Minnesota Quilters raffle quilt. The quilt kit we offer is designed in shades of plum and the blocks are two of our 12 Pack Fat Quarter bundles, Fall Fever and English Garden.